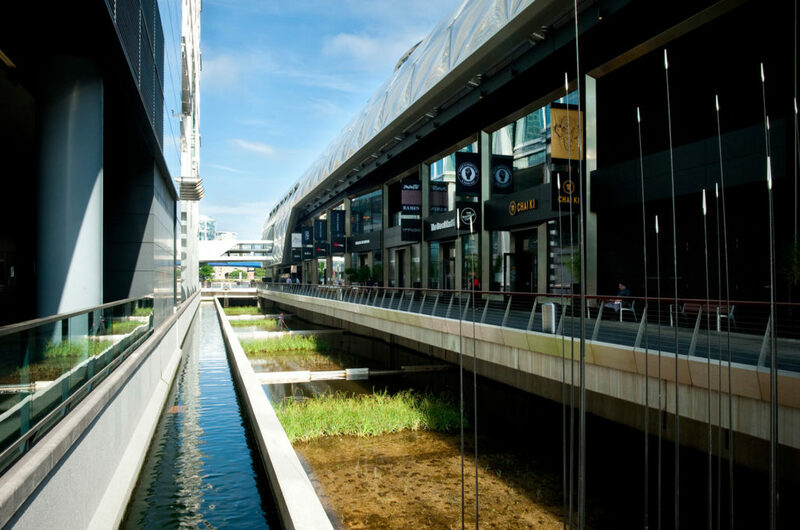 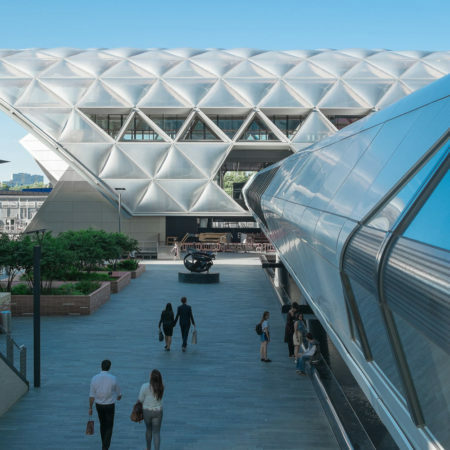 In 2008, Architects Foster + Partners were commissioned by client Canary Wharf Group to design a mixed-use scheme encompassing the over-ground elements of a new station for the Crossrail project at Canary Wharf. 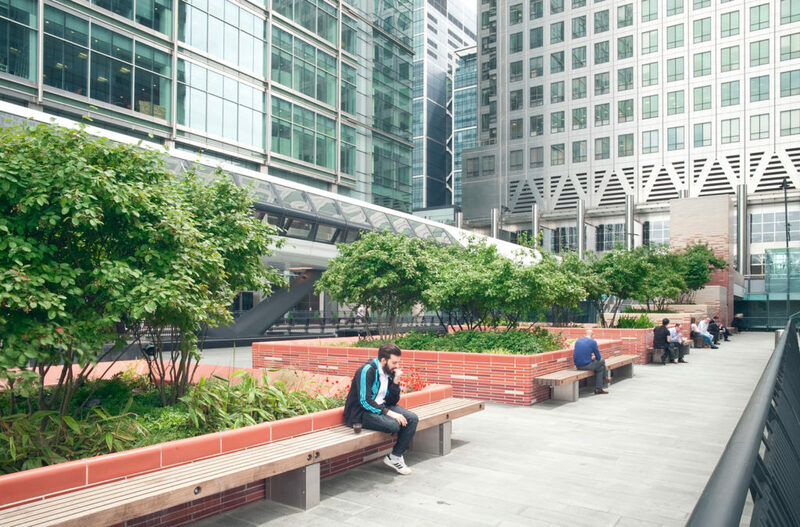 The client commissioned Gillespies to create an accessible shared and open space that would work to unite the residential neighbourhood of Poplar and the business district of Canary Wharf. 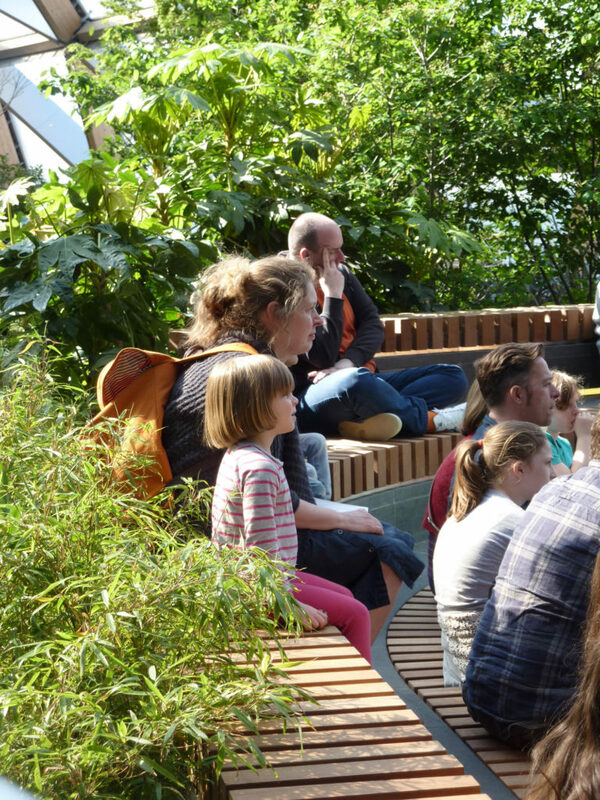 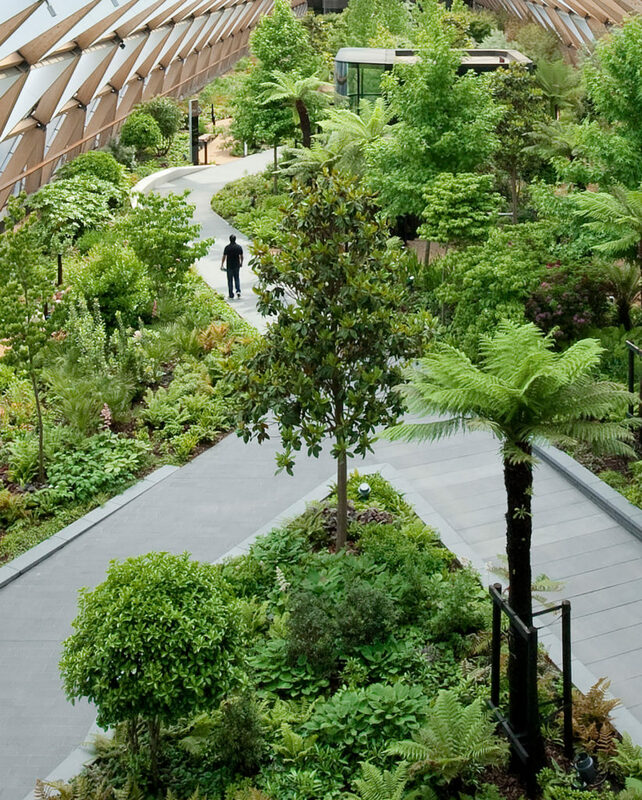 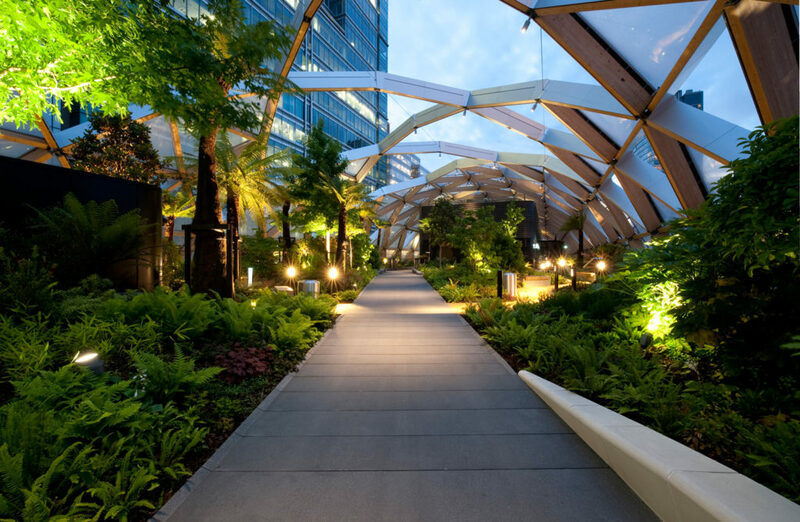 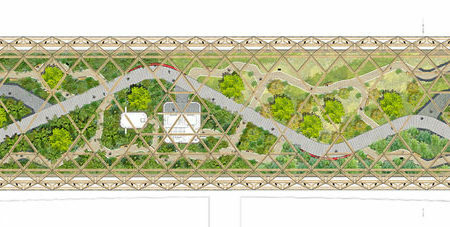 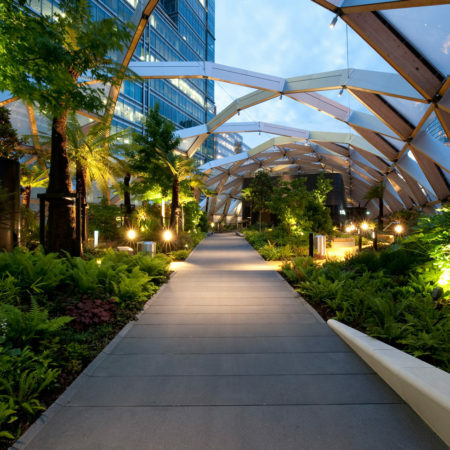 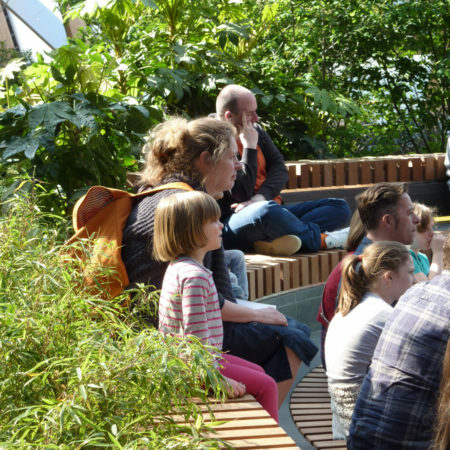 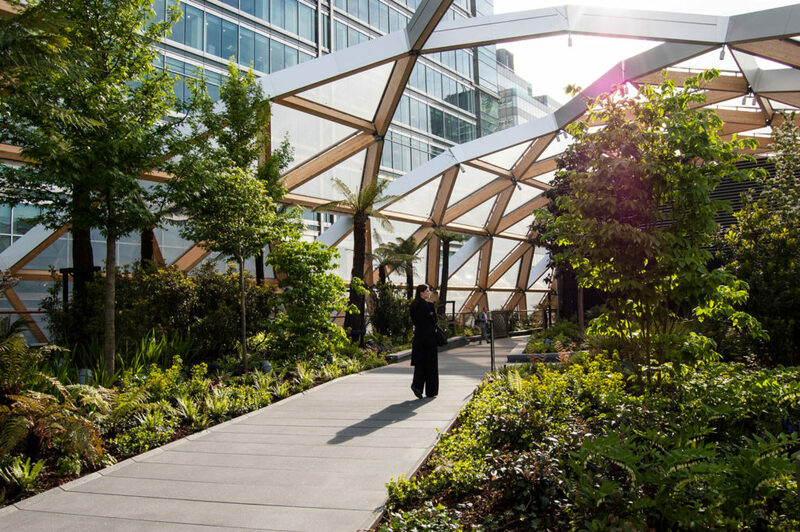 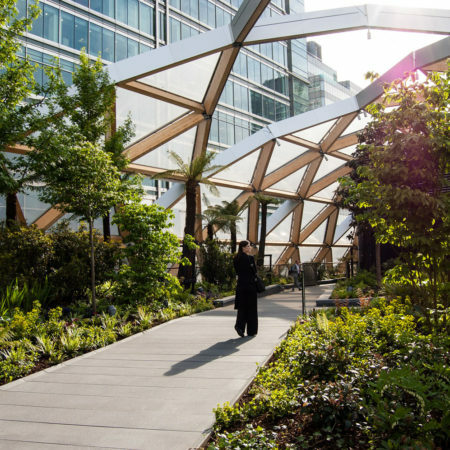 Crossrail Place Roof Garden provides a new elevated shared space between the two areas – open daily from dawn till dusk. 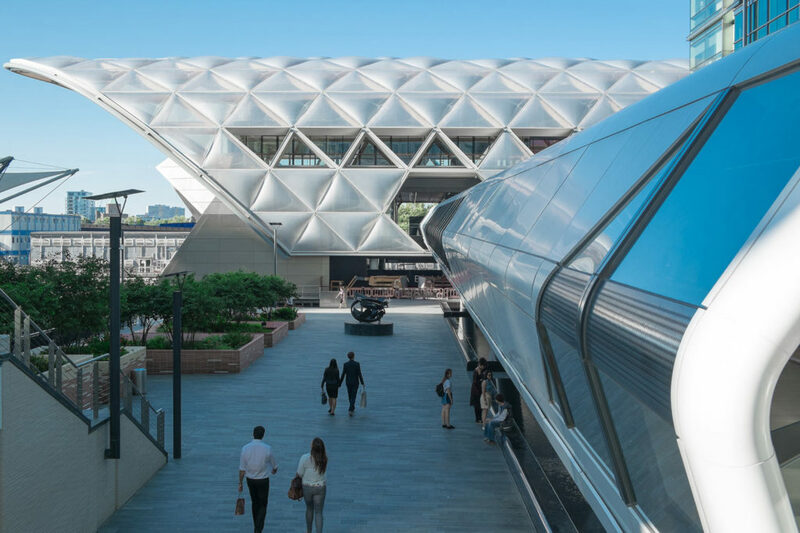 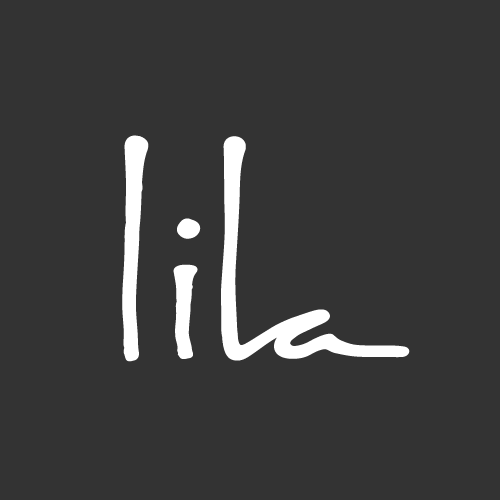 The opening of Crossrail Place represents a seminal moment for our client as it is set to provide the trigger for transition between what is an incredibly successful business location, to further progression in the form of Canary Wharf Residential. 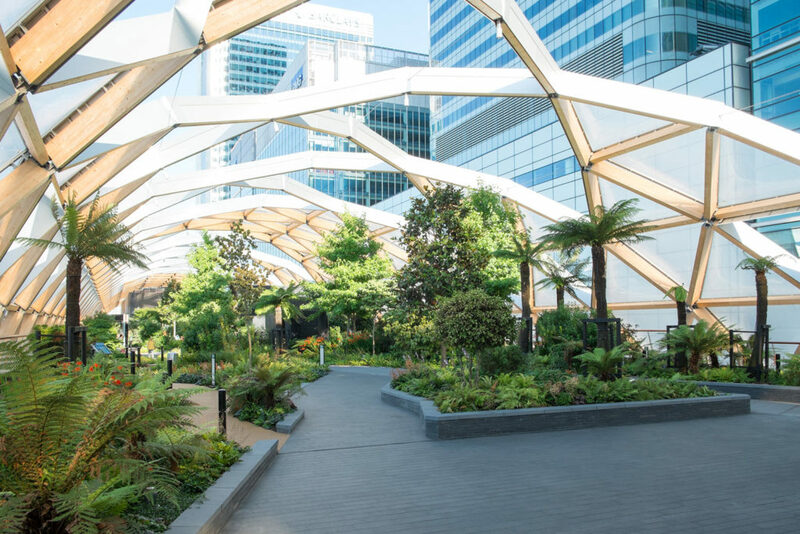 The new public spaces and improved accessibility have given people a reason to visit Canary Wharf outside of working hours, overturning the commercial stigma attached to this area. 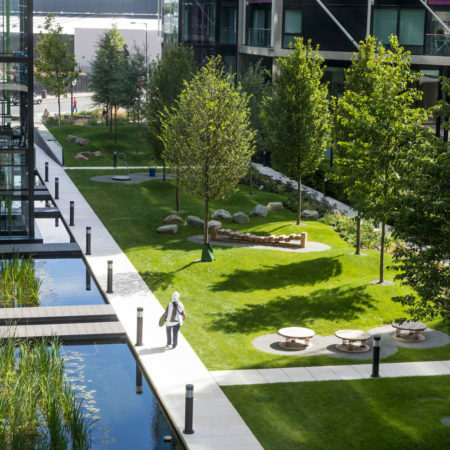 The stretch of Docks from St. Katherine’s in the west to the Royal Docks in the east grew and developed over a 200 year period. 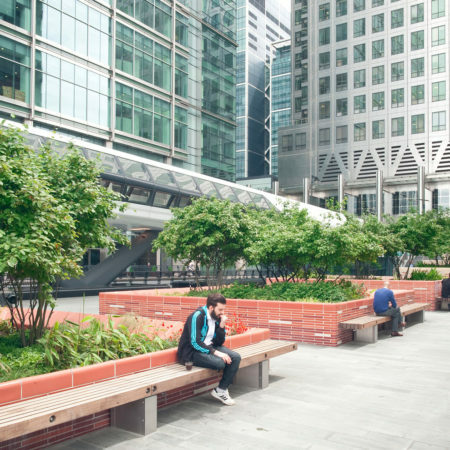 The opening of the West India Docks in 1802, considered to be the greatest civil engineering structure of the day, represented the beginning of a period of unprecedented growth and expansion. 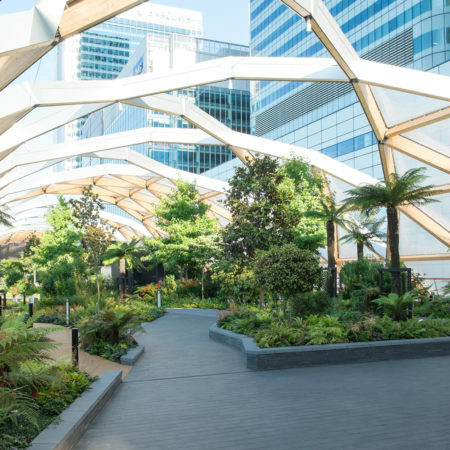 As the British Empire grew rapidly through the 19th century so too did industries based on the import of exotic products from across the globe. 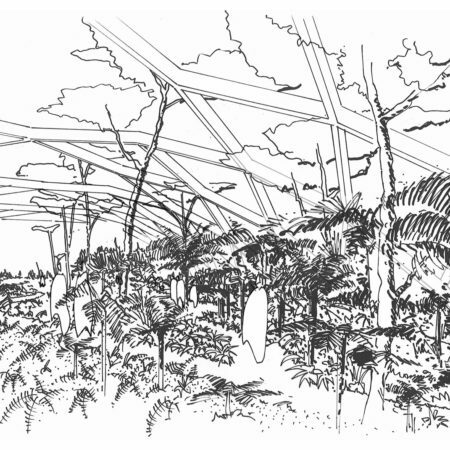 The late 18th and 19th century saw increasing exploration of unknown areas. 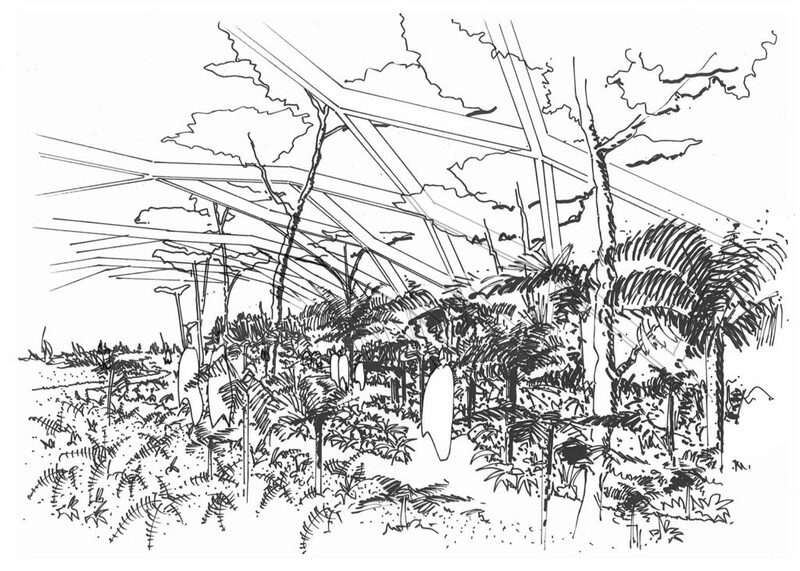 Scientific establishments such as Kew Gardens and the RHS sponsored certain expeditions by plant hunters, whilst others, overtly commercial, sought to exploit the natural bounty of these far-flung regions with an emphasis on valuable cash-crops. 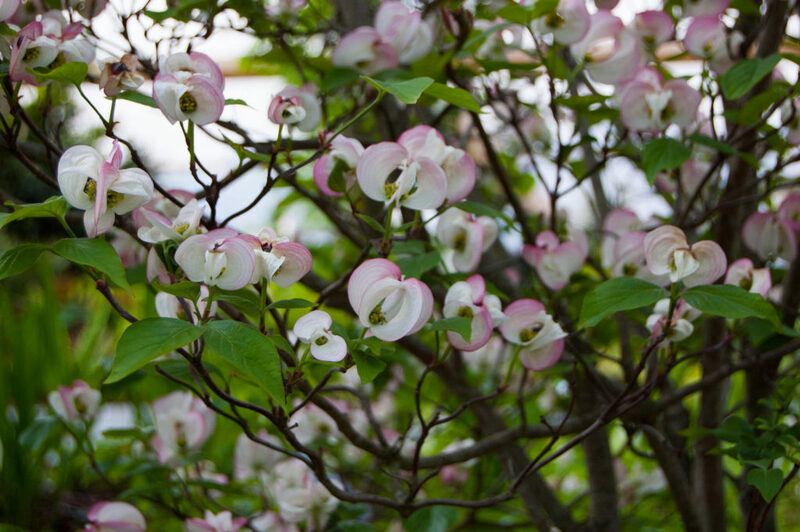 The docks and their unloading ships were the focus for exotic cargos arriving into the UK. 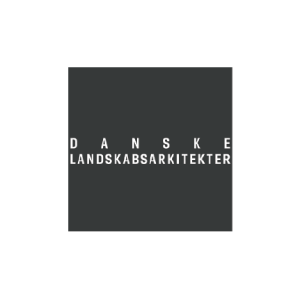 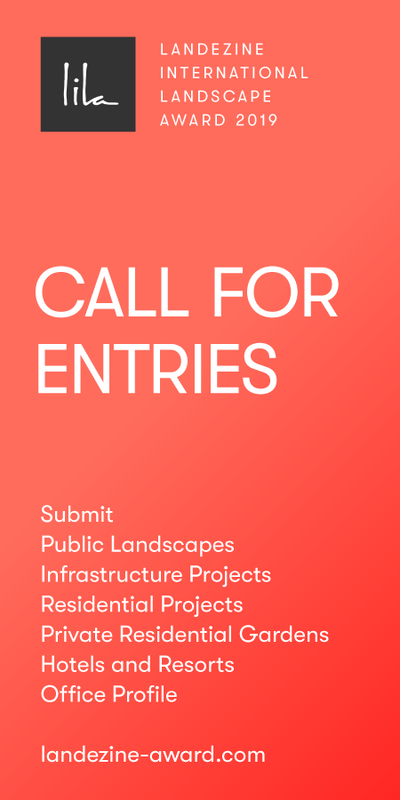 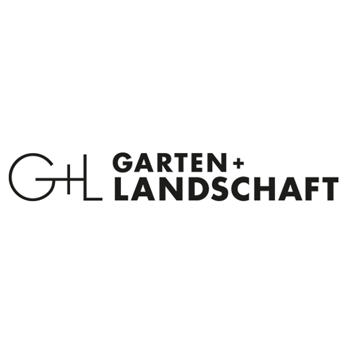 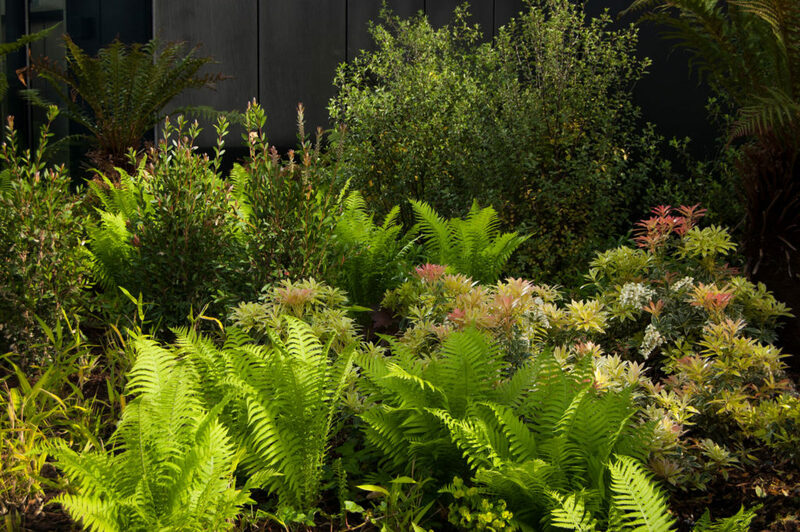 The soft landscape design concept seeks to draw on the exoticism of these cargos and the regions they represented, expressing it through the use of wide-ranging foreign species. 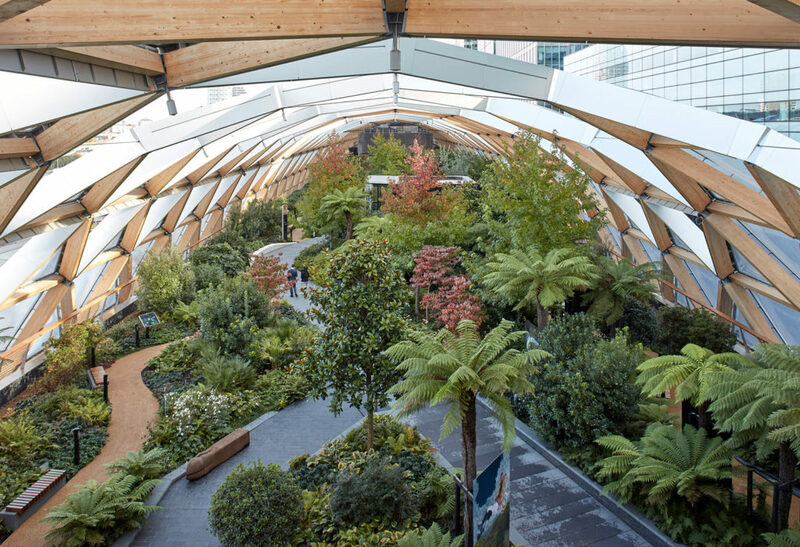 Sitting within West India Dock the Crossrail Station Roof Garden can be seen as a metaphorical ship laden with unusual specimens from across the globe, with the ETFE roof structure reminiscent of both the protective Wardian plant cases used in transportation and the great Victorian glasshouses that received these incoming novelties. 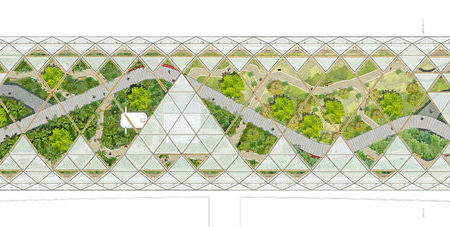 The geographic location of the site, directly north of Greenwich, places the docks virtually on the Prime Meridian dividing the eastern and western hemispheres. This position at the point where east meets west has inspired a broad division of the park into two geographic zones. 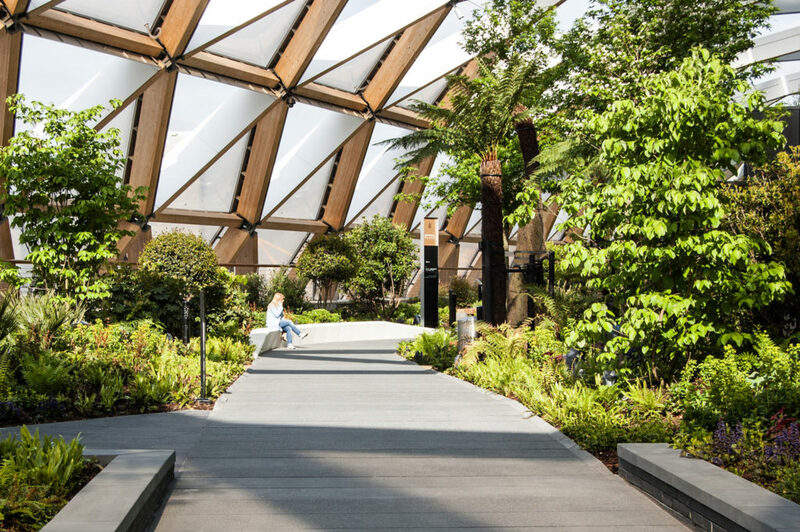 The eastern end of the site represents the eastern hemisphere and is primarily planted with species from the east, whilst the western end of the site represents the western hemisphere and is primarily contains plant species from the west. 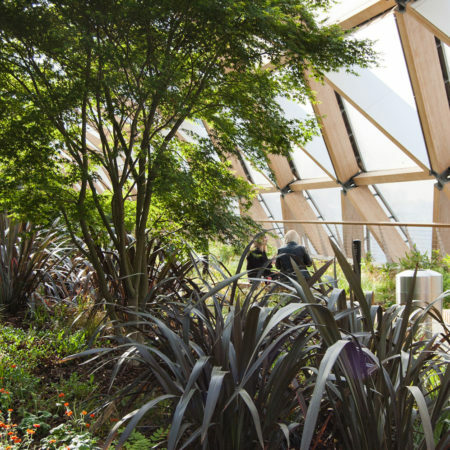 The garden is partially enclosed by a distinctive roof which wraps around the building like a protective shell. 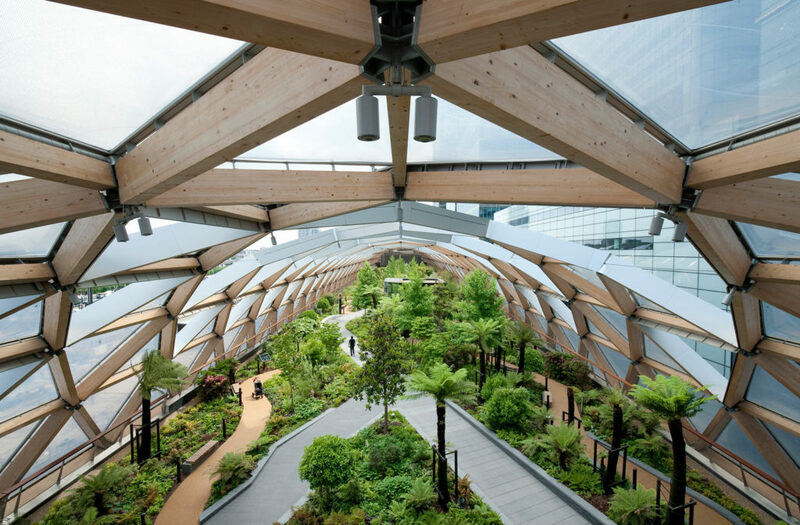 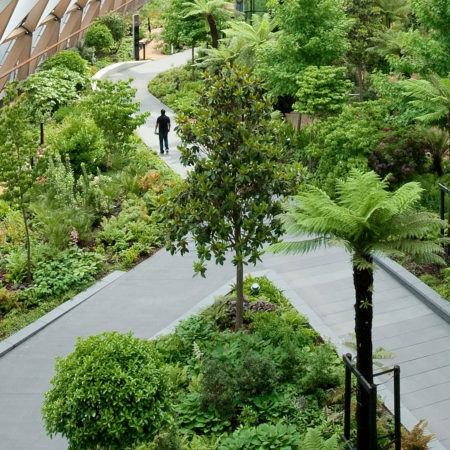 Designed by Foster + Partners, this 300-metre long timber lattice ETFE roof is open in the centre to draw in natural light and rain for natural irrigation as well as providing visual connection with the neighbourhood of Poplar to the North. 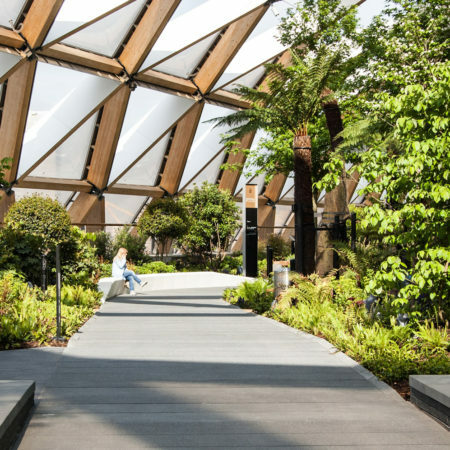 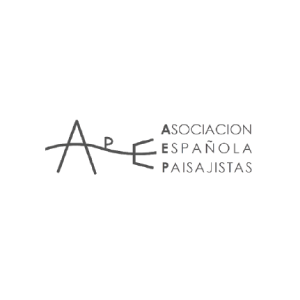 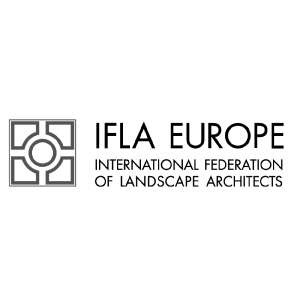 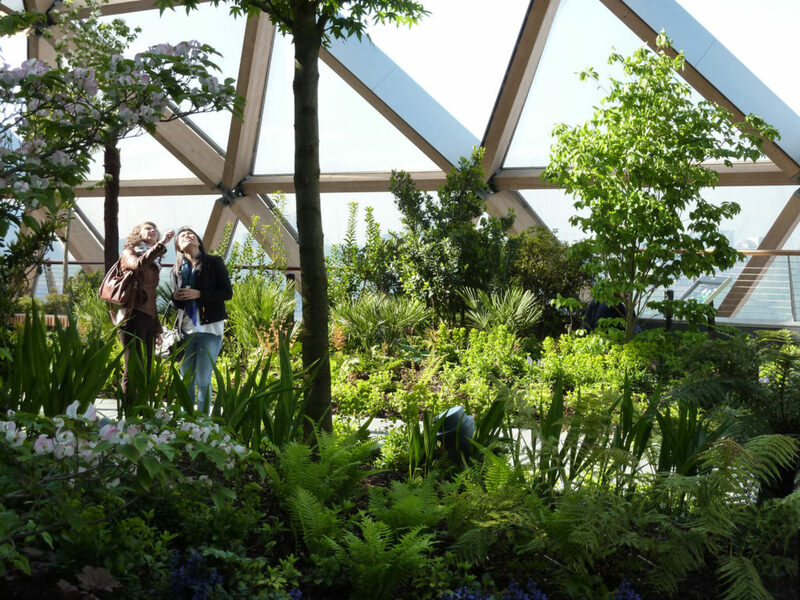 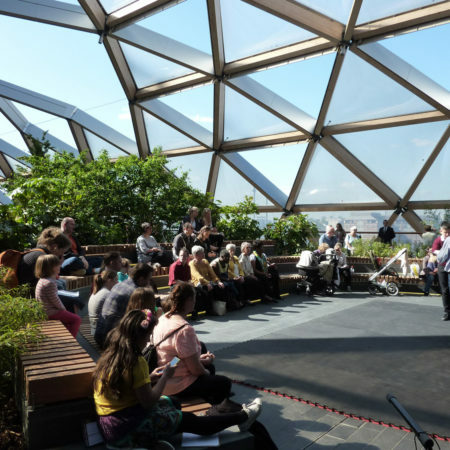 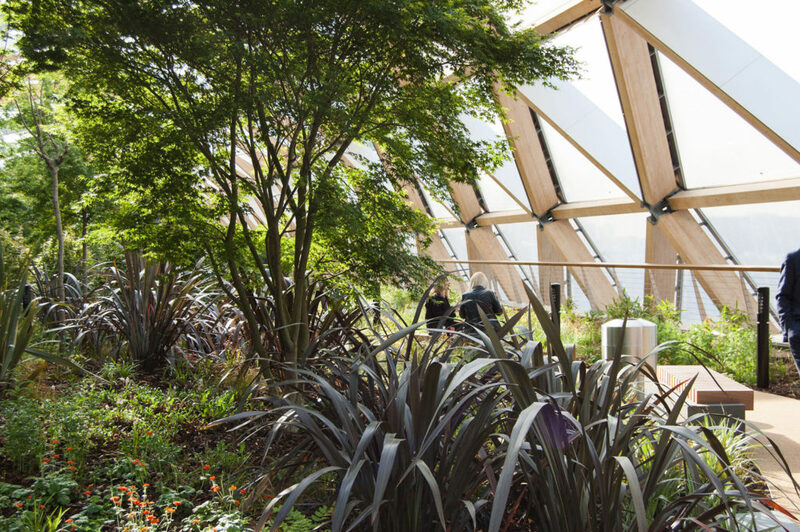 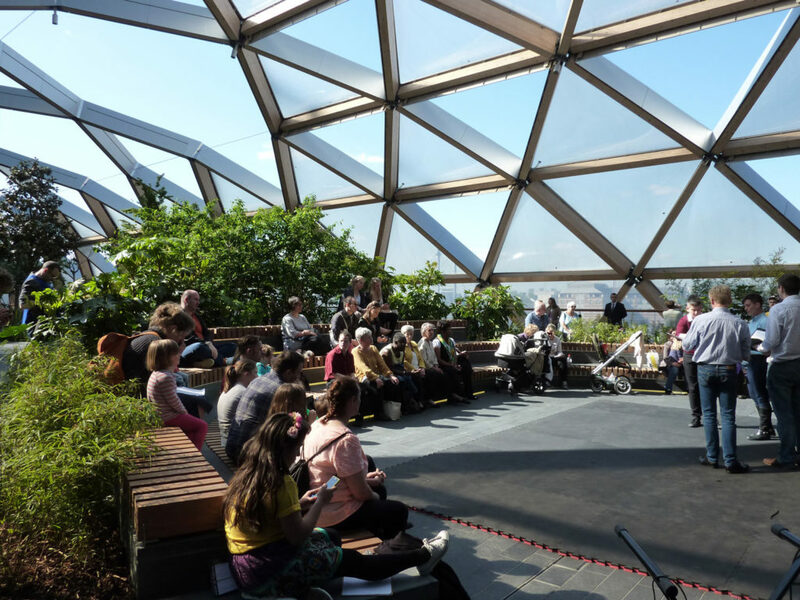 The ETFE air cushions, which are a highly insulating material, create a comfortable environment for people to enjoy the gardens all year round, as well as providing a favourable microclimate allowing the use of less hardy and more unusual plant species. 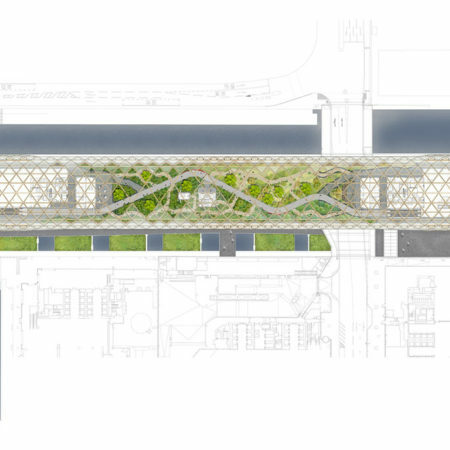 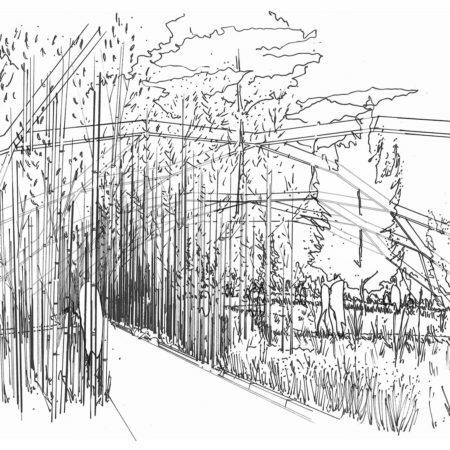 The positioning of the garden above a station provided a number challenges – shallow substrate depth, weight of planting and an overhead roof structure. 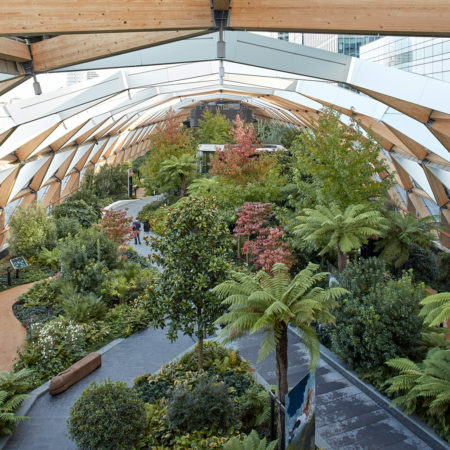 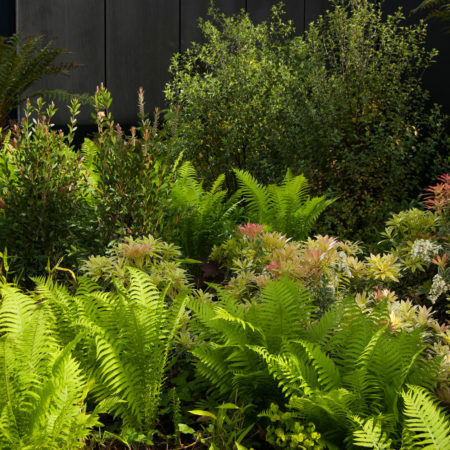 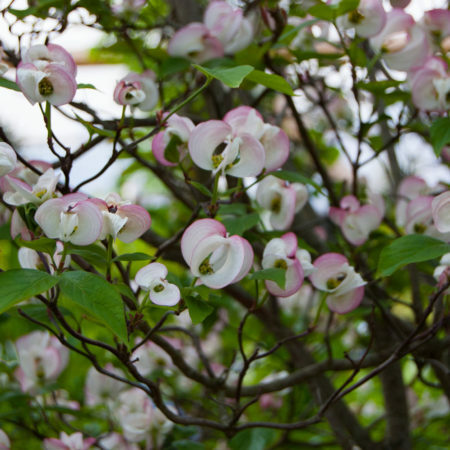 Gillespies embraced these challenges by constructing the garden over a reinforced slab that acted as a wide tray containing enough lightweight soil to support mature trees and plants. 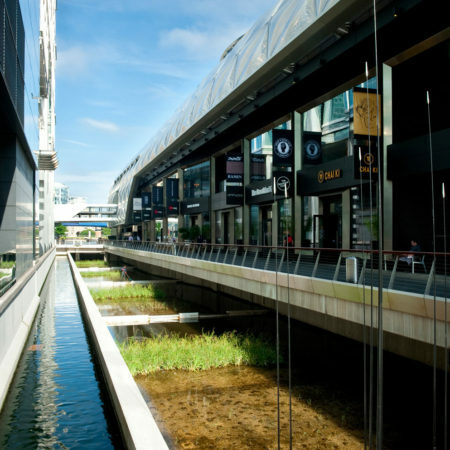 To allow for root growth and drainage, footpaths had to be elevated on lightweight supporting structures. 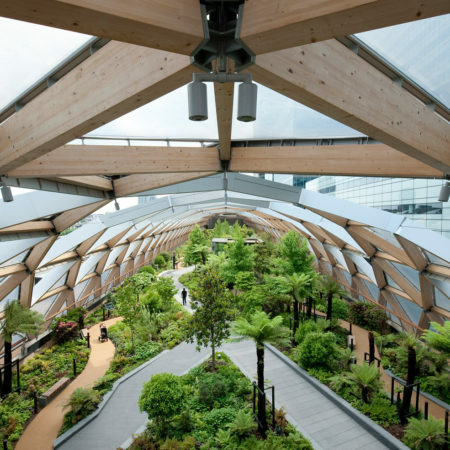 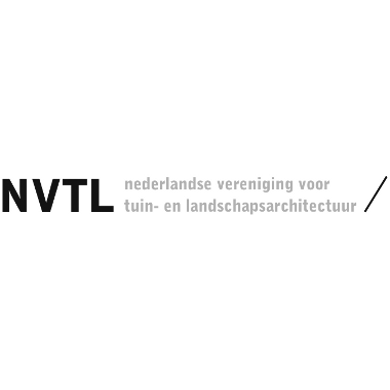 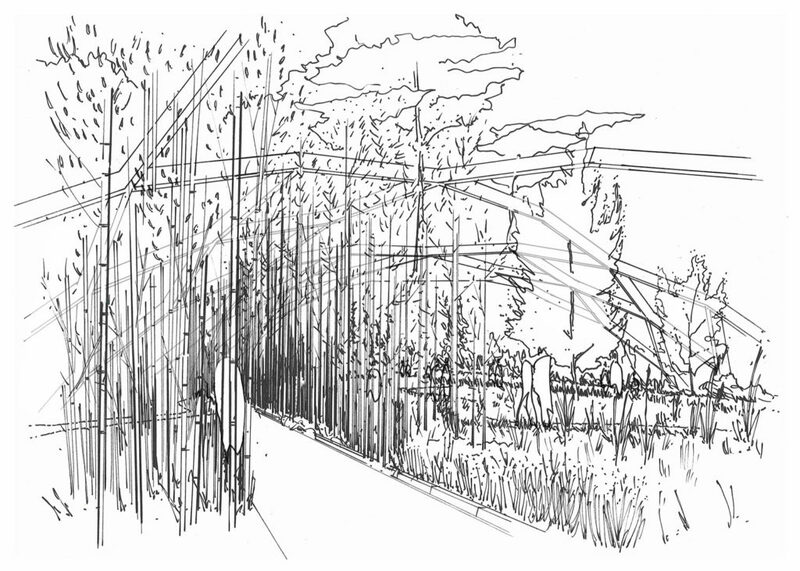 A detailed structural grid was developed to govern the positioning of the trees allowing the taller trees to benefit from the large openings in the structure. 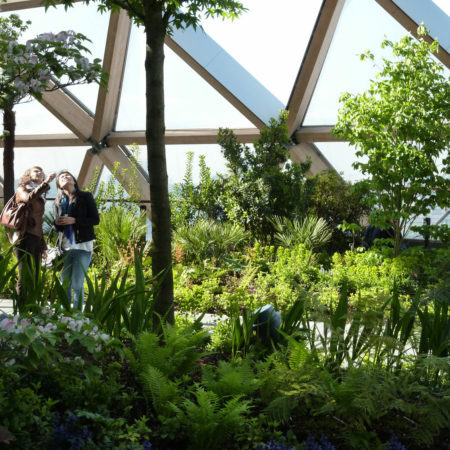 During the construction phase, all material – soil, plants and trees – was craned through the openings in the roof.